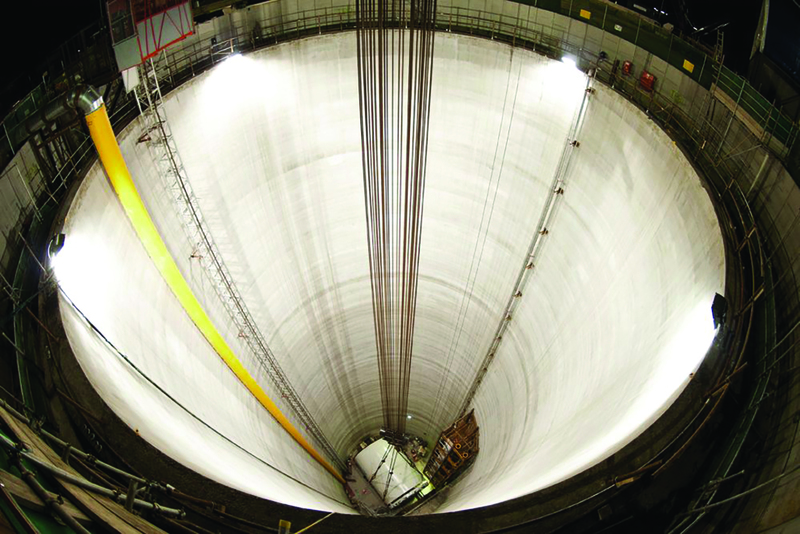 2015 is due to be a big year for Thames Tideway Tunnel. Its chief executive Andy Mitchell talks about pitching to investors, choosing contractors and how the project can change London’s relationship with its river. 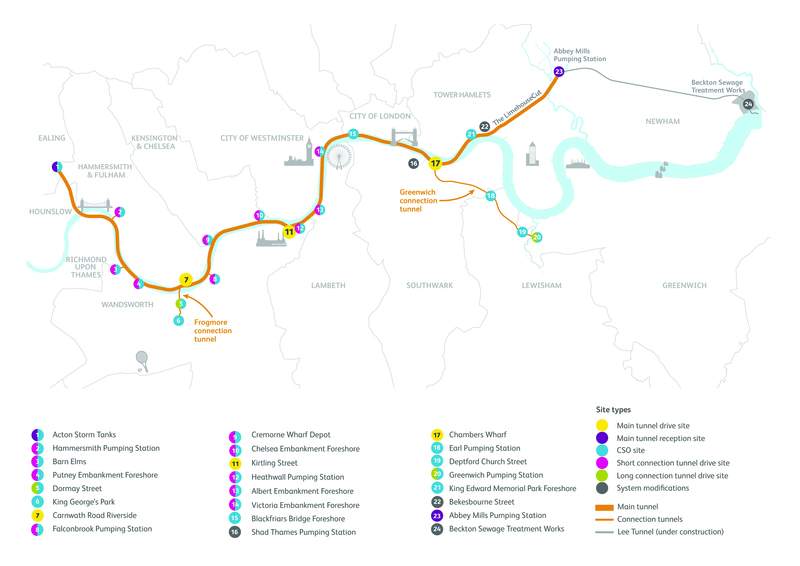 By the end of February the team on the £4.2bn Thames Tideway Tunnel will have presented their project to investors looking to help create Britain’s first sewage only utility. They should also have selected three contracting teams for the main civils works on the 25km long, 7.2m diameter tunnel. At the same time, the Government is defending its decision to issue planning consent to the project against four objectors who have applied for a judicial review. But the view has already been taken that the project is the best long-term solution for managing sewage waste in a capital that is about to hit its highest population ever and is expected to grow another 25% after that. Here’s chief executive Andy Mitchell on a busy few months ahead for the project to build a sewage interception, storage and transfer tunnel running from Acton in West London along the line of the river through the centre of the city to Abbey Mills in the east. Around £1.4bn of the Thames Tideway Tunnel’s construction cost will be financed by Thames Water and £2.8bn by a new company currently being created. The financing structure for the new company will be determined by the winning bidder. "With the financing in place we can formally create the new company, for the moment known as Thames Tideway Tunnel Ltd, whose first job is to build the asset which it will then own and maintain in perpetuity." Thames Water is running the sale process and early February will be the first time I and my management team present to the investors. They are buying into us and it is our chance to convince them that they can trust us to deliver the project whose construction they are funding without heartache. Investors’ money will be used to pay for construction of the tunnel and they need to know we can deliver. Crossrail (where Mitchell was programme director until July 2014) finishes its 42km of tunnelling work at about the same time as we make our presentation and the timing is not lost on me or anyone else, and that’s entirely right. The tunnelling on Crossrail has been very successful. This is an opportunity to take the big learning and huge comfort from Crossrail along with the success of Thames Water’s Lee Tunnel project and the National Grid tunnelling work and bring it all to bear on the next major investment in London in a harmonious way. The intention is that the tendering process with investors comes to a conclusion in the summer, so it will be a post-election decision. I’m not concerned about the election. There is cross party support for the scheme – we stay in regular contact with the Government and have had assurances from the Labour opposition team that they are keen to see the project proceed without delay and want to be kept up to speed on anything we can share to make the process easier. We take this as very supportive. With the financing in place we can formally create the new company, for the moment known as Thames Tideway Tunnel Ltd, whose first job is to build the asset which it will then own and maintain in perpetuity. The revenues for the project will be collected from Thames Water’s entire customer base in the usual way. The quoted increase in customer bills of up to an average maximum of £80 per year is very much a worse-case scenario, and we are confident it will be lower than that. The good thing about the timescale is that tunnelling in London is well understood and we have contractors with access to a workforce with current knowledge and skills thanks to Crossrail, Lee Tunnel and others. The contractors can have their pick of the experienced and the best and that is reflected in the bidding which is competitive. That competitiveness also reflects the contractors’ belief that this job is eminently do-able with typical views on production rates coming out on the high side. "What we will see is pure incremental tunnelling figures better than ever before even though our diameters are bigger and we will be working at depths (up to 65m) where we need to keep the aquifer out of the tunnel." I’m chair of the infrastructure client group of Infrastructure UK and the big thrust there is that as clients we continue to give government and the public confidence in investment in infrastructure. It’s not just about continuing to deliver the programme, it’s about real incremental cost efficiency. It should no longer be a surprise that we can build it at cost. What is important is for everyone in the infrastructure sector to demonstrate improvement. And that’s the thrust of the contracting approach on Tideway. We have opted for only three tunnelling contracts divided by the different ground conditions to be encountered (see map). That is significantly less interfaces than on Crossrail and will be more efficient. When we tendered Crossrail there wasn’t an appetite among contractors for big packages, now there is and with the consortia presenting these are about the right size. What we will see is pure incremental tunnelling figures better than ever before even though our diameters are bigger and we will be working at depths (up to 65m) where we need to keep the aquifer out of the tunnel. We will also be running an alliance arrangement with pain and gain triggers for the whole alliance which includes us, Thames Water, the three main contractors and the SCADA systems integrator. For the winning contractors, what that means is that there will be opportunity in the six month optimised contractor involvement period after award of contracts to work out how we could do things better by changing elements of the design and by using the alliance framework. For instance, all the contractors are looking at marine shipment of tunnelling segments and muck away. Does that mean we require three separate logistics management plans on the river? That can’t make sense. Many of our sites are waterfronted and my ambition is that the vast majority of our deliveries and muck aways travel by water. You could say the same about the design detailing for the shafts. They all have to achieve the same dissipation so do we need three different designs? We can’t do. This is not for us to impose but there must be synergies. It is going to be interesting to see them develop. My chief operating officer Mark Sneesby, who was latterly Thames Water’s programme director on the Lee Tunnel, will oversee the monthly alliance board and there will be a quarterly CEO alliance board. What we have to do is make sure every level is living and breathing the alliance. And if any party isn’t playing its part it is up to the boards to manage, and I am sure there will be some fairly straight words. What is disappointing is that the discussion about London’s waste water has become polarised between tunnel or blue/green options like sustainable urban drainage. It shouldn’t be an either or. "Three months after we press the button on the completed project the Thames will be effectively sewage free for the first time in generations. It will change London’s relationship with its river." 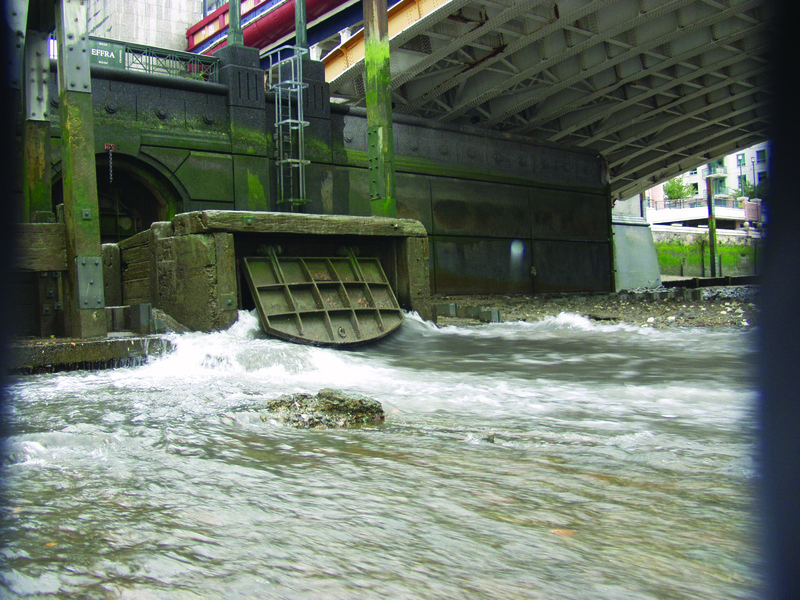 Tideway is necessary – we are currently having to pour first flush sewage into the river fifty or sixty times a year because the current sewage system is at capacity and it is that first flush that does the real damage. It takes up to three months for each of those highly polluted flushes to make their way down river and out to sea. That can happen with as little as 2mm of rain because there are just more people in the city. The role of blue/green options is to complement the tunnel. Alone, these options can’t deliver the scale of what is required or fast enough. Meanwhile London would watch the rate of sewage in the Thames increase. It can’t be acceptable. Overall, on an average year, 39M tonnes of sewage and sewage polluted rainwater gets into the Thames and even with the Lee tunnel (currently under construction between Abbey Mills and Beckton sewage treatment works which will capture a large portion of London sewage), there will still be 20m tonnes a year hitting the river before you take account of a growing population. That can’t be acceptable. With the Tideway scheme there will be just three or four spills of the most dilute sewage a year. Three months after we press the button on the completed project the Thames will be effectively sewage free for the first time in generations. It will change London’s relationship with its river. There are opportunities to use the river as an amenity in ways we haven’t done for centuries. Retrofitting for blue/green solutions is not practical in the city now – it doesn’t make sense to rip up hard standing and you can’t dig a hole (for underground storage tanks) without encountering lots of underground utilities. But I do believe that we need to change the planning rules so future development has greater blue/green elements and we need to campaign for that. We have to see different planning regulations such that our successors are not going to have to build another tunnel.